GIFTED, at least on paper, certainly sounds like one of those cheaply melodramatic feel-good TV movies of the week. It concerns a brilliant female math prodigy - just 7-years-old - that becomes embroiled in a child custody hearing between her grandmother and her uncle, the latter which has cared for the "gifted" youngling since she was a baby, during which time her mother committed suicide. The overall premise of this film for me going in was a real turn-off. Yet, GIFTED emerges as a surprisingly moving, touchingly acted, and confidently directed family drama that has individual moments that are as emotionally absorbing as any film that I've seen this year. It also marks a rather fine return to strong and assured directorial form for Marc Webb, whom has spent the last several years making two Spider-Man films for Sony (the last of which was critically maligned), but before that quarterbacked one of the finest romcoms of the last decade in 2009's (500) DAYS OF SUMMER. Webb displayed in that latter film an impeccable eye for finely modulated performances and a commendable affinity for blending laughs with pathos. GIFTED highlights Webb's inherent strengths as a shrewd and observant filmmaker, and even when the film takes a few perfunctory narrative turns you're still left with a drama containing thoughtful themes and well realized characters. In a small town in Tampa resides the aforementioned child genius, Mary (played with great natural conviction by Mckenna Grace), that has been living a guarded, secluded, but relatively happy life with her ex-professor, now boat repairman uncle, Frank (a quietly charming and believably vulnerable Chris Evans, a far cry away from his Captain America role). Frank has been home schooling his niece for years and is well aware of her remarkable intelligence, but he seems steadfastly insistent on enrolling her in a local elementary school so that she can be afforded the same kind of social upbringing that any child of her age has. Her very first day in class is memorable (in one of the film's slyest scenes) as she astonishes her teacher, Bonnie (Jenny Slate), with her rapid fire answering of incredibly complex math problems that most normal people would require a calculator to solve. Bonnie clearly sees that Mary is special and should be granted the opportunities to go to advanced private mathematical schools to take full advantage of her unique skills, but Frank remains dogged in his insistence to give Mary a "normal life." Fate steps in with the sudden appearance of Mary's long-time absentee grandmother, Evelyn (Lindsay Duncan), who insists that her granddaughter be swiftly removed from a school setting that's far beneath her cognitive abilities. Evelyn and Frank are relatively cordial to one another, but both harbor deep pains and resentments regarding Mary's mother's past suicide. Apparently, it was the mother's dying wish that Mary be looked after by Frank and not be used for "think tank" purposes in places of higher education, but when Evelyn refuses to step down she takes her son to court for not only custody of Mary, but also for the purpose of dictating her future as a "once in a billion" math prodigy that could change the world with her abilities. GIFTED poses some highly intriguing questions at viewers regarding Mary's predicament: Is Frank right in denying her a chance to study in the best colleges in America? What would be the best for this child? Growing up around other children and having a social life or abandoning such a life and being displaced into an academic world dominated by adults? 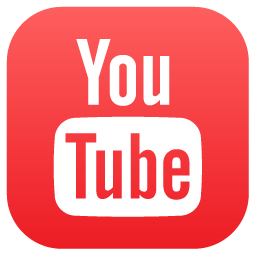 What are the larger responsibilities of the parent - or guardian, in Frank's case - here? Is he to be condemned for subverting his niece's chance to become one of the pre-eminent mathematic minds of her generation? One of the more compelling aspects of GIFTED is that it never paints its adult characters in simplistic black and white strokes. Frank is stubborn in refusing to allow Mary to essentially abandon her childhood and any semblance of a normal life, but Evelyn is equally stubborn in her obsessive desire to relocate her grandchild out of an environment that's doing her extraordinary gifts a huge disservice. Neither Frank nor Evelyn are 100 per cent right or wrong in their beliefs; the script for GIFTED, rather refreshingly, doesn't take sides and paints one over the other as a villain. Both of these adults have nurturing and pure motives. The performance trifecta at the heart of the film helps compliment its thematic ambition. I never thought that Chris Evans was an actor of charm or range at the early stages of his career, but he's demonstrated to me lately what an understated level of sincere charisma that he brings to his respective roles that suits him rather well. Evans is never flashy in GIFTED, nor does he oversell some of the film's more heartbreaking moments with performance histrionics. Instead, he goes with a more proper less-is-more and subtle approach. He has wonderfully authentic chemistry with the incredibly appealing and spunky Mckenna Grace, who has the tricky performance task of playing a little girl that's intelligent in unfathomable ways but, when all is said and done, she's still as emotionally frail as any 7-year-old. Lindsay Duncan has the toughest role here, I think, seeing as she's playing a character that could have devolved into a one note antagonist in a lesser drama. Evelyn employs some highly questionable tactics with ensuring that she's the one granted full access and care to Mary, but she's not a spiteful figure of contempt that wants to harm her grandchild. GIFTED has some plotting issues that begin to rear their ugly heads in the latter stages of the film, especially with the eye rollingly contrived manner that a one-eyed family cat (I'm not making this up) is utilized in a laughably artificial manner to bring all of the players together in the film's climax so they can have it out once and for all about Mary's future. The court room scenes that are peppered throughout the film are equally uninspired and feel driven on pure autopilot; they also sometimes grind the narrative flow to a screeching halt. Then there's the manner that the film loses track of some of its key side characters: A family friend to Frank and Mary (played well by Octavia Spencer) appears, then disappears and then re-appears in the story when the screenplay deems it necessary. Then there's a fairly unnecessary subplot involving a romance between Frank and Mary's teacher that's both out of left field and wholeheartedly unnecessary to the overall arc of the story. 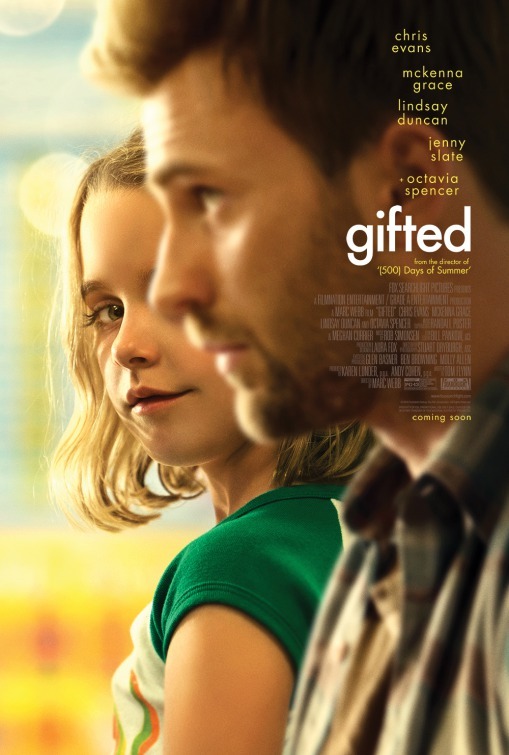 Still, GIFTED surprisingly won me over in frankly unexpected ways. Marc Webb displays a smooth and consummate level of craftsmanship in developing these flawed characters well beyond the stereotypical extremes that could have befallen them. And Evans, Grace and Duncan all give uniformly excellent performances that tap into the complexities and inner contradictions of their respective roles. It could easily be said that GIFTED perhaps amps itself up to somewhat shameful levels of manipulation in trying to squeeze tears out of audience members and, in the latter stages, it doesn't know how to use tactful restraint. But the overall film is thoroughly absorbing and packs a reasonable dramatic punch that struck a chord with me. And considering its soap opera-inspired premise, I shudder to think what kind of film GIFTED could have been.